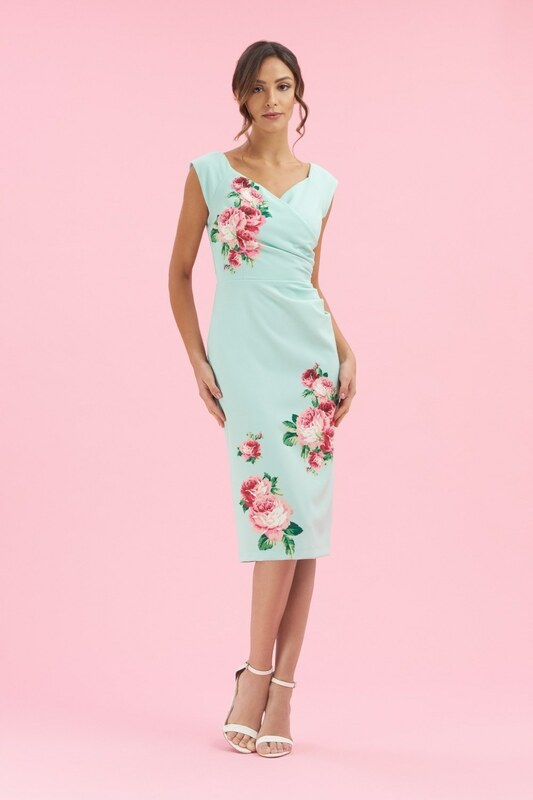 The Vivi Lamour Pencil Dress is a signature design which creates an hourglass silhouette. 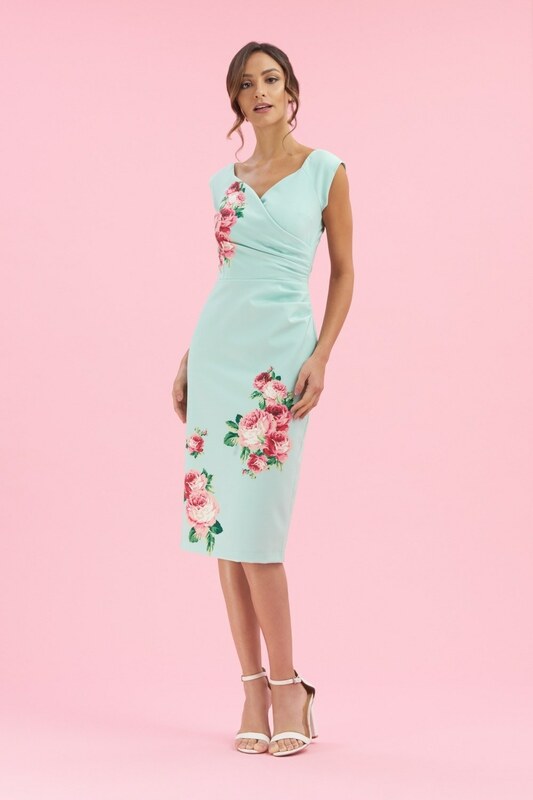 Features include a faux wrap over bodice, cap sleeves, tailored pencil skirt with flattering side gathers, a concealed centre back zip and vent split. Fully lined with stretch control lining.